There has been a lot of talk in the media in the past few years, particularly in the UK, about the potentially damaging and isolating effects of boarding school on children’s future lives (Duffell, 2014). Mostly coming out of the UK where large boarding schools and private prep schools are very common, these articles often sight the experiences of now-adults who attended the schools in the 70s, 80s and even earlier when harsh discipline and isolation from family echoed in the halls. Lingering memories of feeling lost in big institutions pervade these essays. Students are often sent to these schools as young as age 6 or 7 and when most communication with family was through closely monitored snail mail letters, was felt with great strength. With a large number of the world’s elite attending similar prestigious schools across the world, some parents and media express concern that this may still be the case in boarding schools today. Will a private education abroad really benefit your child? When serious questions like this one arise, it is essential that the boarding schools out there today address them directly and openly. We feel confident in doing so because we know that our Swiss boarding school student experience is a far cry from the difficult experience of these past UK students, as courageously shared in these recent articles. It is important to us at Brillantmont International School that we engage in these difficult debates and provide our perspective to parents so that they can see how we are different and they can be confident in their child being well served, nurtured, and cared for in our school. We still believe strongly that an international education in a consciously diverse and small school environment produces the real leaders of tomorrow. And we want to ensure that you too can remain confident in this truth. 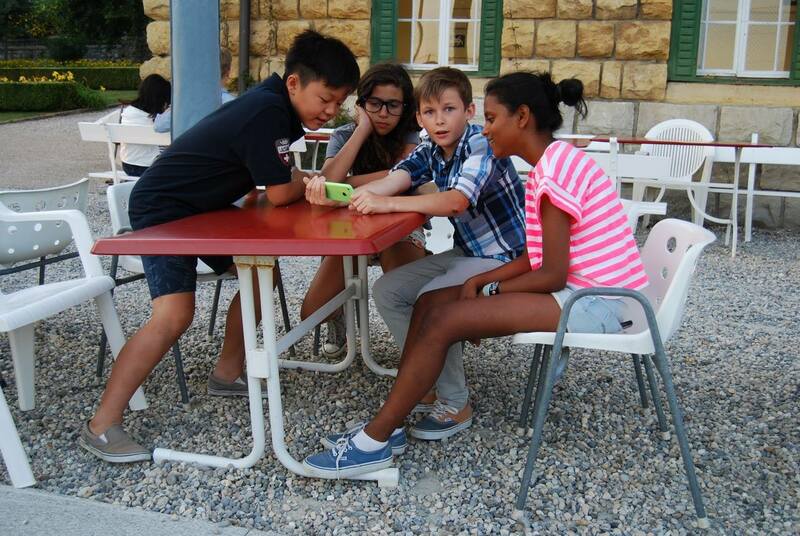 There are a few key features of a Brillantmont International School education that ensure that these potentially damaging elements of isolation and disconnection never arise. We believe that attending a small international boarding school in a safe and secure country like Switzerland will expand your child's horizons and open them up to what the world and other cultures and people have to offer in ways that local public schools just cannot do. One of the keys to the success we have in doing this is that we are a small, personalized school. This is absolutely essential for making this kind of open education successful. Unlike many boarding schools and prep schools across Europe, we pride ourselves on our family atmosphere that is attainable due to our size – only 140 students. Still owned and managed by the founding family, Brillantmont places huge emphasis on remaining small and fostering a big sense of family. This is key in making the transition from a child’s family home to school abroad as smooth and welcoming as possible. The average class size at Brillantmont of 12 insures that each student gets personal attention and will never feel lost in the crowd. Isolation will never be felt by our students because from day one, we ensure each student gets connected with older student mentors, closely bonded boarding house leaders and communities within the larger school, staff councilors and health staff, and teachers. Another piece of the puzzle that makes today’s boarding school experience so different is the connectivity that technology provides. First of all, Brillantmont does not accept student younger than 12 years of age. We want to be sure that the students that come into our care are ready for the boarding school life. Through the use of such services as Skype, Facetime, texting, and Google hang-out - to name just a few – students can now easily communicate with their family at home. We encourage a healthy balance of on-campus friendships and connections as well as connection to home. Our support staff and health center as well as the boarding house student leaders and staff provide one-of-a-kind support so that the school becomes family and often calls home decrease rapidly because of how quickly students adapt and feel comfortable here. One of the other elements of our international schooling that leads to incredible success is access to cultural diversity. Not all private schools ensure the kind of diversity that Brillantmont does. Our school has nationality quotas to guarantee representation from across the globe. Being exposed to other cultures as a young person forces you to be more adaptable and develop a sensitivity to communication and cultural dynamics that is incredibly valuable in both personal relationships and careers in later life. Learning languages as a young person also develops important skills that are harder to access as a grown-up. Because of Brillantmont’s location in the middle of French-speaking Switzerland, and incredible closeness to German and Italian speaking regions, the language exposure we offer is exceptional. Lessons learned in the classroom can be applied that same afternoon in local shops and activities. We hope this article has helped to illustrate why we believe so strongly in a small, diverse Swiss boarding school environment. We believe this is the ideal place to nurture and refine the leaders of tomorrow in ways that keep them connected to their family and graduating with a new one. Brillantmont has the advantage of a small international boarding school but also remains firmly tied to Swiss ethics, morals and community. With this legacy grounding us, we promise to shape your children into confident young adults that will look back on their boarding school education with fondness and gratitude.